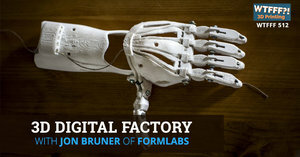 Jon Bruner directs the Digital Factory program at Formlabs, which focuses on digital manufacturing strategy. Before joining Formlabs, he oversaw O'Reilly Media's publications on data, AI, hardware, the Internet of Things, manufacturing, and electronics, and was program chair, along with Joi Ito, of the O'Reilly Solid conference, which covered the intersection between software and the physical world. 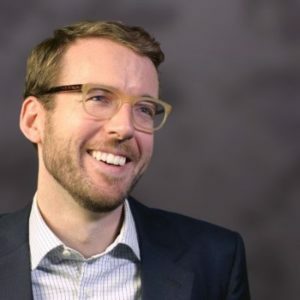 He was previously data editor at Forbes Magazine, where he combined writing and programming to approach a broad variety of subjects, from the operation of the Columbia River's dams to migration within the United States. He studied mathematics and economics at the University of Chicago and lives in San Francisco, where he can occasionally be found at the console of a pipe organ. 3D printing experienced a hype-driven boom just under a decade ago as it promised to replace a wide range of conventional manufacturing methods. Since the hype died down a few years later, a more nuanced view emerged, with 3D printing complementing and enabling other manufacturing processes. In this presentation, Jon Bruner will describe some of the ways that 3D printing can be implemented alongside other processes as part of a broader digital manufacturing strategy.